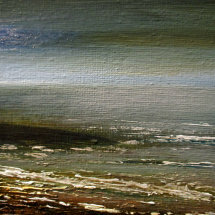 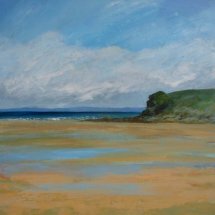 Painted en plein air "Broadhaven Beach" was a sudden inspiration during a visit to Pembrokeshire. 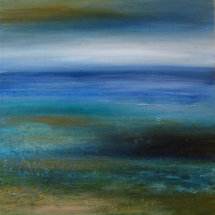 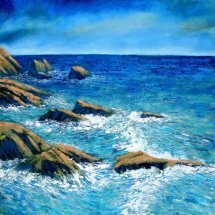 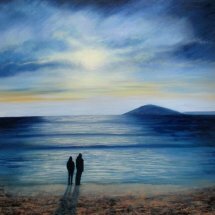 With the sea and surf on a sunny day I'm always inspired by the coast and the beautiful blues of the ocean, the white rolling surf and a turbulent windswept sky. 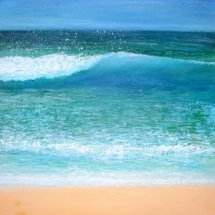 I love the ocean finding the rhythmical waves very restful and always take a sketchbook to the beach to capture the mood.